When it comes to choosing a new PC for business, there are two questions you need to think about: where it's going to be used, and what it's going to be used for. Let's take the first question first. 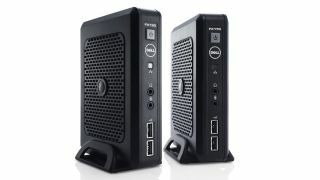 If your PC doesn't need to go anywhere, then it makes sense to consider a desktop or an all-in-one: the former is extremely affordable and upgradeable, simple to install and easy to maintain, while the latter sacrifices a little bit of expandability in favour of a sleeker design that takes up even less space. You'll find that desktops are available in three categories: essential value, which offers good all-rounders at an excellent price; business performance, which delivers more powerful hardware without sacrificing mobility and battery life; and workstations, which excel at demanding tasks such as HD video editing, 3D rendering, scientific applications and computer-aided design. A workstation would be overkill for everyday computing, but for demanding applications a lower-spec machine is likely to be a false economy. If you need mobility you'll be spoilt for choice. You'll find a wide range of workstations such as the Precision M6800 - serious performers designed to bring all the benefits of workstations to anywhere in the world - as well as traditional laptops, tablets and ultrabooks. Once again you'll find laptops grouped into essential value for affordable all-rounders and business performance for power users. Ultrabooks are laptops too, but they're very specific kinds of laptops: they've been designed with an emphasis on being as thin, as light, as portable and as energy efficient as they can possibly be, and they're superb devices for mobile working. It's worth noting that Ultrabooks don't have optical drives for CDs or DVDs, and they're based on solid state storage rather than traditional hard disks. That means they're flying machines, but if storage capacity really matters you may well be better off with a more traditional and slightly chunkier laptop. One of the most interesting new categories is tablets. Here you'll find slate-style PCs, which are the most mobile devices around and offer exceptional battery life, instant access and a wide range of useful apps - not to mention full compatibility with your existing software, as they're Windows PCs in tablet form - as well as 2-in-1s. 2-in-1s are designed for people who need the convenience of a tablet as well as the productivity of a laptop, and they employ superbly clever engineering to transform from a laptop into a tablet and back again. They're slightly heavier than tablets and slightly more expensive too, but there really isn't much in it. No matter what kind of PC you're considering, it's important to think ahead: the better our devices are the more we tend to do with them, and as a result it's a good idea to consider not just what you plan to do now but what you're likely to do in a year or two. If your crystal ball is a little cloudy, it's never a bad idea to up the spec a little bit to ensure there's capacity to accommodate your ambitions.